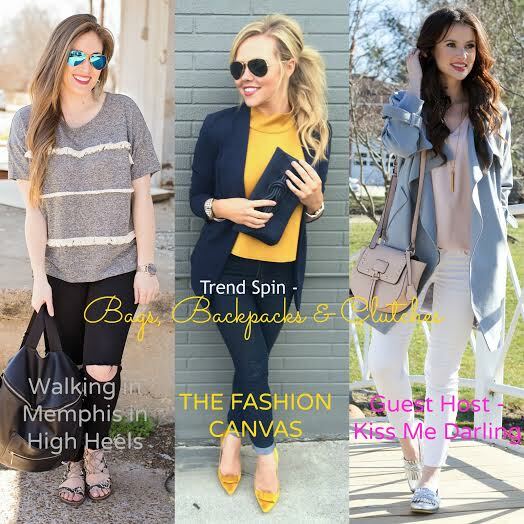 Today I am thrilled to be co-hosting the Trend Spin linkup with Walking in Memphis in High Heels and The Fashion Canvas! Todays theme is Bags, Backpacks, and Clutches. I chose this adorable blush pink cross body because pastel colors are calling my name lately, and it is way too cute. If you want some major inspiration, and discover some awesome blogs- please see below! If you’re a fellow blogger, come link up with us and make sure to stop by other blogs to say hi! For todays outfit I wore one of my favorite trench coats for spring. Its warm enough to wear on chilly days, but also light enough to wear as the temperatures are rising. Lets be honest, we all think about this when purchasing clothing in those in between months of Summer and Winter. I paired it with some simple white denim and these adorable metallic loafers. Im telling you, these shoes are like Heaven! So incredibly comfy, I could wear them all day! Love that bag its so cute! that jacket looks so comfy and cozy too! This springtime look is so stunning! 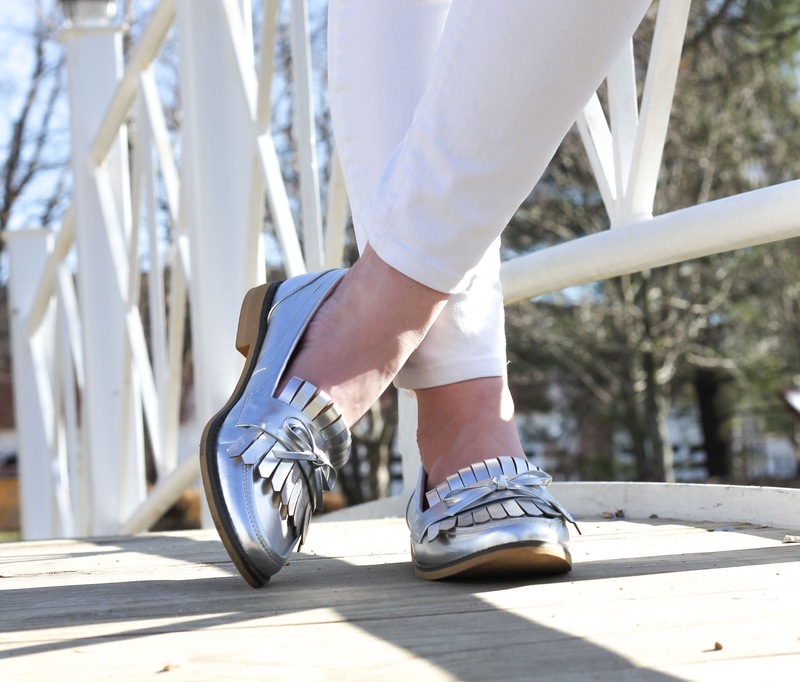 You look chic and fresh – love your metallic flats! Love your whole look, head to toe. The trench is perfect and the loafer is such a great find.